don't you just love this time of year? where daytime is getting shorter and colder, the streets lit with christmas lights making you look forward to a cozy evening with a hot cup of cocoa. while i've been to london on several occasions at different times, i do love this city this time a year. amongst many other places in the city, oxford- regent- and bondstreet are beautifully decorated. storefronts are totally decked out with christmas lights. 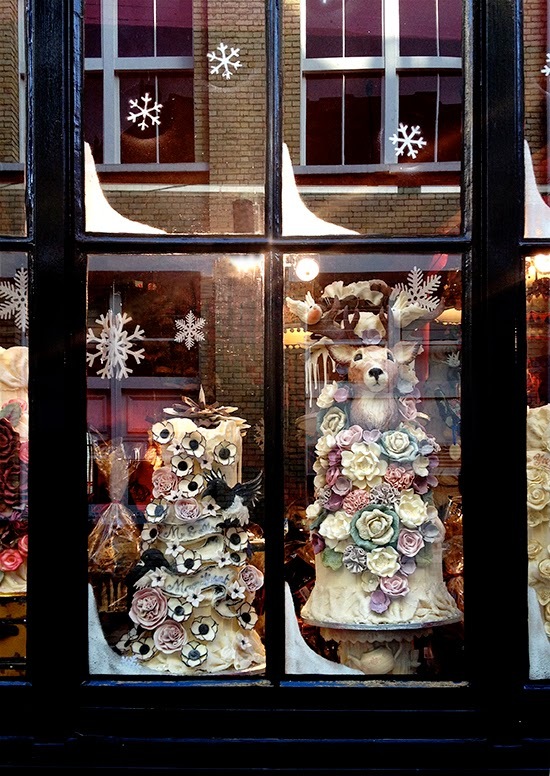 you will find the most beautiful christmas inspired windows. stop by harrods who is well known for their christmas decor. each year they make sure to get into the holiday spirit from top to bottom. go on a ride at the london eye for a nice view of the city from above. or grab that cup of hot cocoa in the soho district. if you're into the holiday spirit like i am, london is the place to be.